(Waning Moon) Are you feeling a little blazeh today? Here’s why. We are in the waning cycle right now – moon wise. And that means that your energy might be starting to recede along with the moon. It is the perfect time to start looking at what specifically is draining your energy. And systematically deal with each thing, until you’ve freed yourself up from limitations, clutter and soul sucking situations. If you want help with any of that e-mail me at support@nutritionwisdom.ca and tell me what’s holding you back. This week is the perfect time to address it and let it go. I have a small coaching package designed to help you deal with that 1 thing, that if you solved it – would change your life. It is probably something that is really hard for you to look at on your own (or you would have already dealt with it). Which is why you might need support to focus on it long enough to uncover what REALLY needs to be done to change it. e-mail me at support@nutritionwisdom.ca if you are interested and I will reply with details about how it works! Even if you don’t want my help, please take a moment to think about ‘that thing’. What is stopping you from changing it? Is there even a small step you can take now towards it’s resolution? Now is the perfect time to contemplate this (moon cycle wise). If you decide to courageously meet your major life issue head on and stop ignoring it, minimizing it or plain pretending it is not an issue, you could have a completely different life – by next week! As the saying goes, ‘you have to change your life to change your life’. e-mail me at support@nutritionwisdom.ca for help! Let the rhythm take you! Do you ever just feel like you don’t feel like doing anything, but don’t know what to do, what not to do and at the same time feel frustrated that you are neither accomplishing anything or even taking a break? Here is why it happens and what to do with it. Find out why it is a gift! Want ‘word medicine’ like this on a daily basis? If you said ‘YES’! then you’ll want to join the Dream Design Tribe to stay focused on being who you need to be and doing what you need to do, to make your dreams come true! Do you feel overwhelmed by the tasks in your kitchen? With all that we have on our plates these days (pardon the pun) it is no wonder that many people feel overwhelmed by the time it takes to make wholesome food from scratch. All these years I have been stepping into each day looking at all that I need to get done (in my kitchen) like it needed to happen all at once- no wonder it often seemed like such an insurmountable task! But out of nowhere a simple shift in my perception changed the way I feel about my time spent in the kitchen? While I have been practicing living in tune with the moon, my focus has been on housework and business tasks. It never occurred to me that I could use moon rhythms in the kitchen- after all meals need to be made 3 times a day, 7 days a week! When I finally saw my kitchen tasks inside of the cycle of the moon’s rhythms, it completely altered my perception of what is possible! Prior to this time, I couldn’t see the obvious because the truth is I pretty much live in the kitchen between driving the kids to school, working and housework- I was so often living there in maintenance and catch up mode, that I never stopped to stand back and look at the bigger picture. And here’s what I ‘got’ inside of my new vantage point…. Instead of being caught up in the minutia of minutes -and wasting my thought energy by focusing in on every little task that needs to be done- I can now clearly see an easy flow that follows my natural energy and attention fluctuations! I threw out my kitchen to do list because there is no hope in catching up with all the tasks that lie ahead anyway- as soon as we do them, they are right back up there on the top again anyway- and that’s just a recipe for failure and dissatisfaction! Instead my kitchen tasks now have a cycle and a season -and when they are done- I feel done for awhile -instead of feeling like everything needs to be maintained and started all over again at once (after all they are eating it faster than we can cook it, aren’t they?)! The tasks that I do now, naturally match my energy levels so that I don’t set myself up for failure. Sure I still have to follow the basic rhythm of 3 meals on the table, 7 days a week, but I do my prep work according to the moon cycles, rather than simply because the cookie jar is empty. When the cookies are out, I don’t need to think of cookies. There are plenty of other things to snack on…. Using the moon as my guide, I get a break from certain tasks (a 3 week one at that), AND my need for variety is built right in- thus increasing the pleasure I experience in my kitchen! Now doesn’t that just make you breathe a sigh of relief! 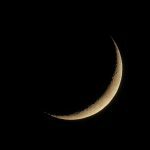 During the new moon our energy is low and it is not the best time to do a lot of cooking or housework. Now is the time to make simple salads to add to quick crock pot meals, leftovers and food that you’ve made and frozen ahead during the waxing moon cycle. Have as much food prepared ahead so that you can take a break in the kitchen. Now is the perfect time to vision the month ahead. Put on some tea, light a candle, lay out those cookbooks and do some meal planning for the upcoming weeks. During this time your energy is building and you are ready to do the work for a month of smooth sailing in the kitchen! Shop and cook in big batches so that you have plenty of food on hand when you need to grab n’go! Your energy is at it’s peak right now so that means you’ll be working and playing hard. Integrate your social and fun time into the kitchen! Expand your palette, get creative in the kitchen and invite friends over for dinner! Your energy is beginning to recede. Now it is time to take stock of what is working and what isn’t for you. It’s also the perfect time to do some extra food prep to coast you through a restorative new moon experience. Tie up loose ends in your kitchen so you can take a break from the kitchen in the new moon. I have to tell you that I am sooo inspired by my new way of being in the kitchen that I want to share this practice with you! If revamping your kitchen in tune with the moon sounds like just what you need, then join me on my upcoming COMPLIMENTARY teleseminar ” Kitchen Rhythms: Using the moon’s cycles to get organized so that you can stay on top of it all -without becoming a slave to the stove! Click here to register for FREE! 13 Simple Ways to Sync your Bleeding with the New Moon…. Before the dawn of electricity we used to bleed together on the new moon and ovulate during the full moon- perfectly in tune with the women in our community and with the moon energies that naturally supported us during this time. Bleeding in sync serves to help us manage our energy. The light of the full moon gives us the natural energy boost we require to get ‘in the mood’ and take advantage of the fertility of our ovulation time. 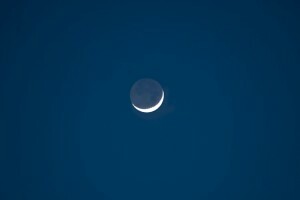 While the dark new moon is the perfect backdrop to support our going inward and attending to the needs of our soul. Today, many of us are bleeding backwards. The most telling sign that we are out of sync with our natural rhythm is that we bleed during other times of the month (rather than with the new moon). When this happens we often feel out of sync. So how can we re establish a bleeding rhythm that matches the energy of our environment? Anything that attunes us to the natural forces can help to re harmonize our body with nature’s cycles. 1) State the intention out loud or on paper that you want to bleed during the new moon and ovulate at the full moon. 2) Begin by listening to your body and asking it what it needs to do that. 3) Go to bed with the sunset (or before 10pm) and arise with the sun. 4) Eat local food in season. 5) Sleep in a complete darkness during the naturally darkest times of the moon’s phases (new moon). 6) Take moonlight walks at night. 7) Take nature into your body by eating food in the whole form that nature provides. 8) Walk barefoot on the earth etc. 9) Plan your activities in flow with the moon`s energies. 10) Create a Moon Lodge with your women friends simply by gathering and creating sacred space together on the new moon (in whatever form that feel sacred for you). 11) Share this wisdom with your women friends (women who spend a lot of time together naturally sync their bleeding -which can work for or against our intention to bleed with the new moon). 12) Attend to your menstrual health with the help of a holistic practitioner. If you suffer from yeast infections, infertility, heavy bleeding, cramps, PMS etc. claim the gift inherent in these health challenges, by using them as a catalyst to transform your life- rather than simply treating or suppressing the symptoms. 13) Avoid foods that contain endocrine disruptors or xenoestrogens such as: growth hormones, food packaged in plastic or BPA cans and bottled water etc. As you sync up with the natural cycles, notice the impact on your health, energy and overall satisfaction with the rhythm of your life- even adopting just one or two practices daily -can go a long way toward restoring harmony in our bodies and our lives. 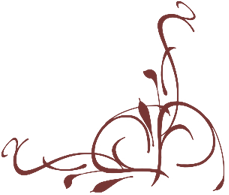 Sign up for our newsletter (top right hand corner, towards the top of the page) so that we can send you a weekly notification by e-mail in service to helping you manage your energy and get in tune with your natural rhythms. Sign up for my newsletter (top right hand corner, towards the top of the page) so that I can send you a weekly notification by e-mail in service to helping you manage your energy and get in tune with your natural rhythms! This is the perfect time of the month to have pre-scheduld your social time and events- you’ll be in the mood AND have the energy for it! Don’t worry that you won’t have enough time to finish your work- the careful attention, planning and caretaking that you completed during the prior moon cycles makes for smooth sailing straight to completion! Sign up for my newsletter (scroll WAY down to find the opt in box) so that I can send you a weekly notification by e-mail in service to helping you manage your energy and get in tune with your natural rhythms! We are about to enter the time of the waxing moon. This is the time of the month when our energies begin to grow. It is a special window of “seeding” where we don’t necessarily give birth to our intentions, but we nourish and nurture the gestation of our projects. What structures or containers do you need to put into place in order to create a foundation that supports the unfolding of your intentions, goals and dreams? The energy of the waxing moon’s cycle is now calling you to take action. This is the time to begin “putting the wheels into motion” so to speak. Begin acting on the revelations that you received during the the new moon. If you have been managing your energy in tune with the moon cycles, you will have already invested time during the past waning moon cycle to clear clutter and remove any obstacles that are standing in your way. 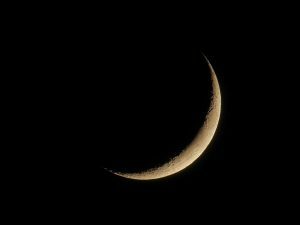 During the new moon, you would have spent precious time with yourself, making an inquiry into what kind of month (or next moon cycle that you want to live into). You peered into your own soul and embraced your sacred moon time by reclaiming the power to say YES to those elements of your life that serve, and NO to that which no longer does. You got clear, set intentions and spent time visioning into the future. Are you ready now to make the life of your dreams manifest? What actions do you need to take on the physical plane to make manifest that which you have inner-vision-ed and intended? What nourishment will it require to firmly root your dreams into the garden that is your life, so that they can bloom and flower later? Don’t just make a to-do list! Look at your upcoming month- keeping the different energies of each of the moon’s cycles in mind. Which tasks would best fit, at what times of the month? Literally, put each task on your calendar, synchronizing the kind of energy they require with the most fitting of the moon’s cycles. For example, put the highest energy tasks near the full moon and keep your schedule free and open during the new moon, so that you do not fall into the trap of regretting saying yes to high energy tasks at a time when your energy is naturally more internally focused. It is often easy to get inspired, dream and vision, but we often “drop the ball” when we fail to take the necessary successive steps along the way. Both the outer and inner work that you did during the waning and new moons are in and of themselves a crucial part of the structure or foundation needed to support the unfolding of that which you desire. But we must be mindful not to overlook the details, skipping ahead to the dream- which will be manifest in the perfect timing, but that crumbles without a firm foundation. Take it one step at a time and put the foundation in place. Nurture and tend to the gestation time of your dreams, so that they can be fully realized and birthed in a natural and easy flow. If you would like to be notified as we move into each new moon cycle, subscribe to my newsletter in the opt in box below that says ‘learn how to use food as medicine’ so that I can send you a weekly notification by e-mail in service to helping you manage your energy and get in tune with your natural rhythms.